Born and raised in northern Manchuria during the colonial period of Korea, Yun Dong-ju was a poet of the utmost purity, beauty, and sincerity. 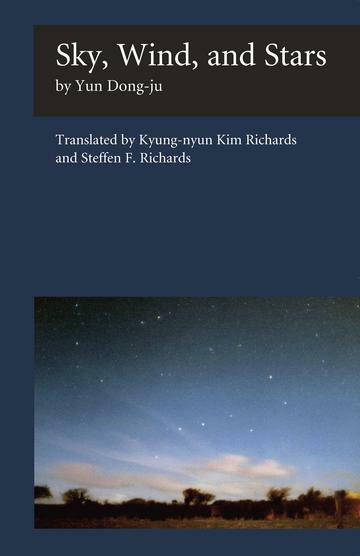 His posthumously published collection of poems under the title Sky, wind, stars, and poems is one of the all-time favorites of Korean readers. Wishing not to have so much as a speck of shame toward heaven until the day I die, I suffered, even when the wind stirred the leaves. (From Foreword) In simple diction and straightforward expressions, his poems sing of his love for his people, his compassion for the poor and destitute, and his hopes for freedom and independence. These themes still resonate deep within the hearts of the Korean people. His imprisonment and eventual death in 1945 in a Japanese prison lend great poignancy to his work.